Scare up a good read! You hear from us every month, and now it's our turn to hear from you. Help us plan for the library's future by taking a short survey. Thank you! Stop by the library and many other Platteville Main Street businesses for a fun afternoon of trick-or-treating. We'll also be handing out treats at the library on October 31 from 4:00 pm until close (5:00 pm). All ages are welcome. Children ages 6 and under must be accompanied by an adult. Everyone attending must be registered - our "movie theater" has limited seating. Call 348-7441 ext 3 to sign up. Join UWP's Circle K and Animal House groups for live animals, stories, and crafts. For ages 3-11. Call 348-7441 ext 3 to register. Join the UWP Circle K organization for Thanksgiving stories and crafts. Call 348-7441 ext 3 to sign up. Join the UWP Platteville Early Childhood Association for Thanksgiving stories and crafts. Call 348-7441 ext 3 to sign up. Come be creative with LEGOs. All ages (6 and under must be with an adult). Call 348-7441 ext 3 to sign up. If you joined us for the Friday matinee of Jurassic Park, you might have thought those dinosaur cloning scientists would have learned to leave well enough alone. 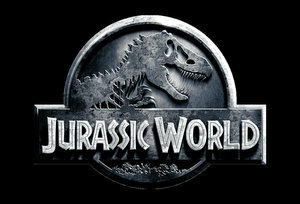 But if they had, we couldn't enjoy Chris Pratt taming the velociraptors in this 2015 film. Movie snacks are provided or bring your own favorite treat. Children under 13 must be accompanied by an adult. Questions? Call 348-7441 ext 4. Each month we try something new that we found on Pinterest. This month we'll be making light up LED cards that would be great for holiday cards, gift tags, birthday cards, or just I'm-thinking-of-you cards. See an example here. For ages 12 - adult. Call us at 348-7441 ext 4 or stop by the library to sign up. Join us for crafting, chatting, cookies, and cocoa at the library. You bring your own project, we'll bring refreshments. We'll also have lots of moral support for anyone frantically working on holiday gifts. All kinds of portable craft projects welcome. Ages 12 - adult. Come when you can, leave when you have to. 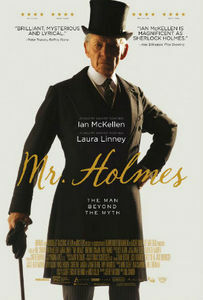 Ian McKellan plays Sherlock Holmes. Do we really need to say more? If you still need convincing, here's a line from the description: "An aged, retired Sherlock Holmes deals with early dementia, as he tries to remember his final case and a woman, the memory of whom still haunts him." 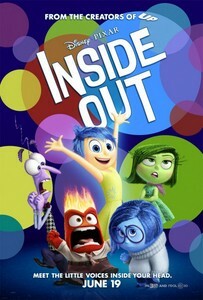 Movie snacks are provided or bring your own favorite treat. Children under 13 must be accompanied by an adult. Questions? Call 348-7441 ext 4. Create and edit the layout of a document (such as a newsletter or résumé) by adding pictures, adding clip art, formatting paragraphs, and adjusting columns. Google Docs is a free, web-based office software suite that specializes in collaboration. Learn how to create and share documents, forms, and calendars. Learn how to turn photos into a basic slideshow. This is an introduction to PowerPoint 2013. Note: photos will be provided. With Microsoft Publisher 2013, you can create posters, brochures, banners, and more. Learn how to use graphics such as clip art, text boxes, and shapes to create a sample greeting card. Congratulations to our friends in Dickeyville for their newly remodeled Brickl Memorial Library. They will be having an open house on Sunday, October 25th, from 1:00 - 3:00 pm. The library is at 500 East Avenue in Dickeyville. 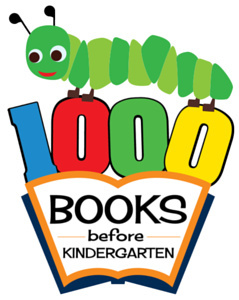 We're excited that so many of you have already signed up for our 1000 Books Before Kindergarten program. This is open to any child who hasn't started kindergarten yet, and you can sign up at any time. We can't wait until some of our readers make it to 100 books! Watching Great British Bake Off and Castle, new Blindspot for more police procedural/puzzle/science fun, and Elementary with Jonny Lee Miller and Lucy Liu. All of these mysteries and Sherlock also have me excited for the new Mr. Holmes! Out of the Woods by Rebecca Bond - this quiet but magical children's book tells the true story of people and animals joining together to survive a fire in Ontario in 1914. San Andreas (PG-13) - an action packed disaster movie with great special effects. Why Not Me by Mindy Kaling (audiobook) - Just as funny as her first book, this witty memoir is packed with quirky stories and moving observations. The audiobook is read by the author and feels like you're having dinner with a close friend. The Girl With All The Gifts by M. R. Carey was a totally bizarre but really fun book. The Storied Life of A.J. Fikry by Gabrielle Zevin is one of the sweetest books I've ever read. The Universe Versus Alex Woods by Gavin Extence is not my usual genre but I enjoyed it thoroughly. Dan highly recommends the new documentary Glen Campbell: I'll Be Me. For fellow Serial fans who can't wait until season 2 starts in November, I recommend the British crime drama Broadchurch. It has all the twists and turns and in-depth character analysis of Serial, plus amazing acting (and David Tennant!). However, it's fictional so you don't have to feel any guilt about being so fascinated by someone's actual murder. Like Nancy, I am also currently obsessed with Great British Bake Off (and have been talking it about it endlessly all year). Most of it is still available to watch on the PBS website. My latest favorite book is Walk on Earth a Stranger by Rae Carson. Set during the California Gold Rush, it has just a little bit of magic, a tiny bit of romance, a lot of adventure, and a great sense of time and place. Dine out at Benvenuto's on the third Thursday of the month, mention the library, and a portion of your bill will go to the Platteville Library Foundation. Upcoming dates are November 19 and December 18. Copyright © 2015 Platteville Public Library, All rights reserved.